I wouldn’t necessarily call the Hole-in-the-Rock a “hike” but it’s a really unique spot to check out in the Valley. It’s located in Papago Park and is only 1/10th of a mile with an elevation of 200 feet. So, you might be asking, how long does it take to hike 1/10th of a mile? Looking at the rock formation from the parking lot, it looks like it would be a harder hike, then what it is. Once you get to the beginning of the trail you walk around the large hill and you will find a wide staircase. Once at the top of this staircase, there is a somewhat rocky platform that will lead into the hole. It was a little nerve racking while descending into the hole because I felt a little unbalanced, but was glad when I saw that there were carved out normal size steps leading the way down. As you go down these steps, you will find yourself standing in a hole formed in the middle of this rock structure caused by erosion. I think this would be a good little “hike” to take younger children and also out of town guest. It’s also a good place to just hang out or have a romantic picnic without having to spend money or go that far from home. We went on a Monday, so I’m not sure how busy it gets on the weekends, but there were around 10 people there but it didn’t feel crowded at all. The hikers ranged from a three year girl to an older couple, probably in there sixties. I would definitely say the Hole-in-the-Rock is good trail for all ages! 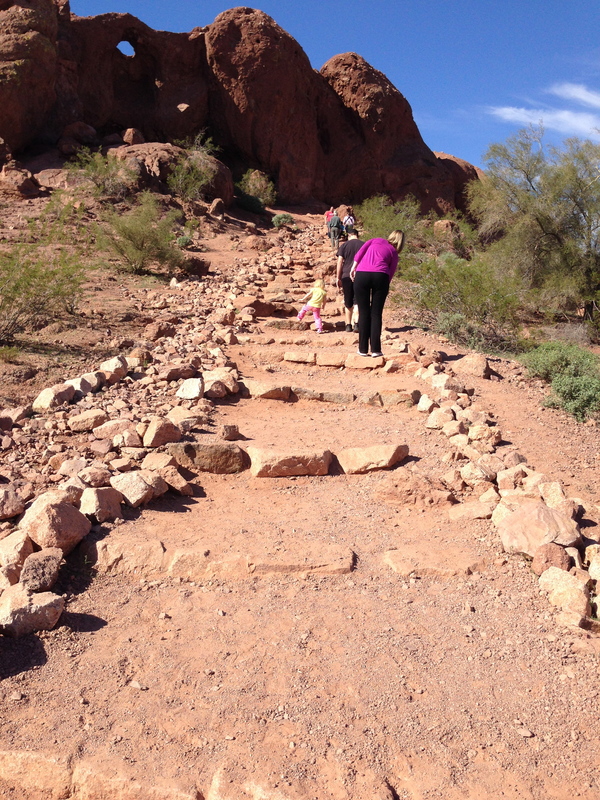 For a detailed trail map and other trails in Papago Park click here. 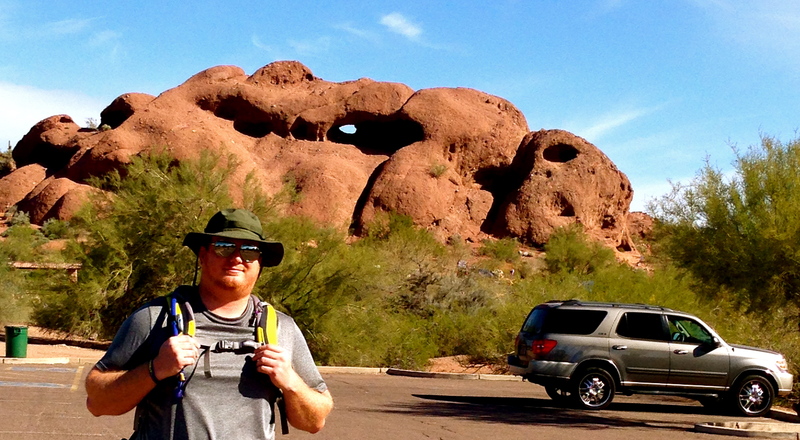 If you’ve done Papago Park or plan on doing it let me know what you thought.